Here we will discuss causes and effects of marine pollution along with various types with its prevention. The Earth is covered with almost 2/3rd of its portion with ocean water. Ocean water plays a very important role to maintain our ecology. Not only maintaining ecology but oceans have many other reasons that make it one of the important parts of mankind such as trade, industry, adventure, commerce, food etc. Human beings have started using the oceans in varied ways and also get success. Unfortunately, one of the very harmful use what humans have started using the ocean for disposing the wastes into large scales. This has led to a very critical situation for marine life. Marine life is an important part of the ecology and human have disturbed the ecology by polluting marine life. We are continuously contaminating sea water by releasing a huge variety of waste from various sources such as industrial waste, agricultural waste, oil spilling, ocean mining etc. There are various species of plants & animals that are living in the sea water and gets affected by marine pollution. Imbalance in the ecology is causing various diseases to water animals which are dangerous situations for the environment. 1 What Are the Types of Marine Pollution? 2 What Are the Sources of Marine Pollution? 3 What Are the Causes of Marine Pollution? 4 What are the harmful effects of marine pollution? What Are the Types of Marine Pollution? Toxins are one of the very dangerous marine pollutions that occurs due to various toxins accumulated the oceans. Toxins such as DDT, Furan, Radioactive waste, pesticides, PCB, TBT, Phenol etc. neither gets dissolve nor gets fragmented and hence cause dangerous effects to marine life. It affects the breeding process of animals. Eutrophication actually means nutrient pollution which occurs when excessive chemical nutrients (especially nitrates & phosphates) are present in water. It diminishes the quality of water and also reduces the oxygen level in the water which leads to inhabitable condition to marine life. The continuous growth in the usage of plastic has covered the oceans badly across the world. The rate of plastic dumped in the oceans is increasing simultaneously with the increase of human population. The plastic dumps are affecting the marine life so badly that the situation has become alarming for the marine ecosystem. Oceans also help the environment by absorbing carbon dioxide from the atmosphere. Unfortunately, the water of the oceans is becoming acidic due to the excessive carbon dioxide present in the atmosphere. Acidification of oceans is also affecting marine life. What Are the Sources of Marine Pollution? In simple terms “seawater contamination is known as marine pollution”. There are numerous sources that contaminate marine ecology such pollution occurs due to soil erosion & mining. Plastic is one of the major sources of marine pollution. Polythene, plastic bag, bottles, etc. are thrown in the sea. Marine pollution causes due to sewage disposed of in sea water. All the industrial wastes are thrown in the rivers and oceans. 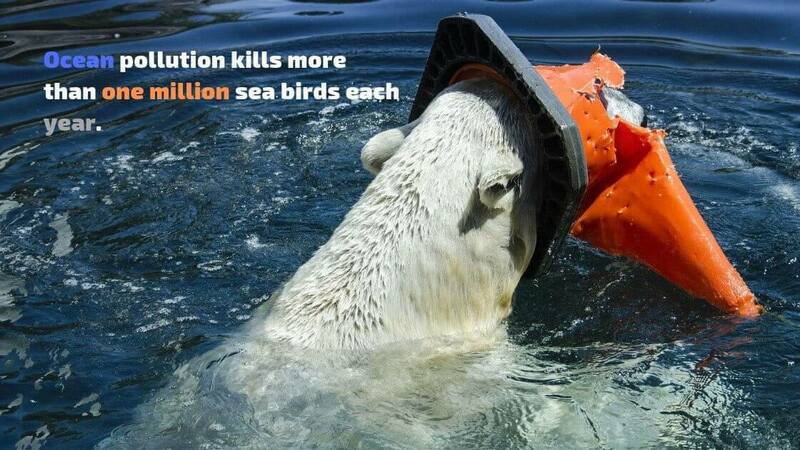 It creates a huge negative impact on the ocean. Toxins from various sources such as pesticides, fertilizers, phenol etc. contaminate ocean water also contaminate the sea water. Oil spills also pollute sea water. Thermal pollution is also a source of marine pollution. All various Causes are discussed below in detail. What Are the Causes of Marine Pollution? Pollution directly enters the ocean in the form of sewage. Sewage enters into the ocean water through rivers and pollutes the marine life. It causes the reduction of oxygen level in the water which hampers the life of animals and plants of oceans. Oil spills from ships also cause marine pollution. It is one of the major toxins that contaminate ocean water which does not clean up so easily. Oil spills lead to the death of thousands of innocent marine animals due to suffocation and toxic effects of it. Ocean pollution is also caused due to the toxins and chemicals entered into seawater through industrial & agricultural wastes. These chemical acts as heavy pollutants that cause thermal pollution. The temperature of the ocean increases due to thermal pollution. There are some animals in oceans who cannot survive in high temperature, hence they die. Ocean mining not only comes under the causes of marine pollution but also causes noise pollution. Deep-sea mining affects the base level of the ocean. The pollutants that release through mining of metals such as silver, gold, copper etc. into the seawater affect the life of the marine ecosystem. Marine water also gets polluted through land runoff. It occurs when excessive water from rain, flood etc. after penetration enters into the sea water. This water enters the oceans along with contaminants such as pesticides, oil, fertilizers, waste from land animals etc. and pollutes the ocean water. These pollutants cause harmful effects to oceanic life and lead to the death of water animal & plants. What are the harmful effects of marine pollution? Most of the waste dumped in oceans across the world does not able to decompose for many years that decreasing the oxygen level in the water quite rapidly. Excessive debris in sea water is reducing the oxygen level at an alarming rate. 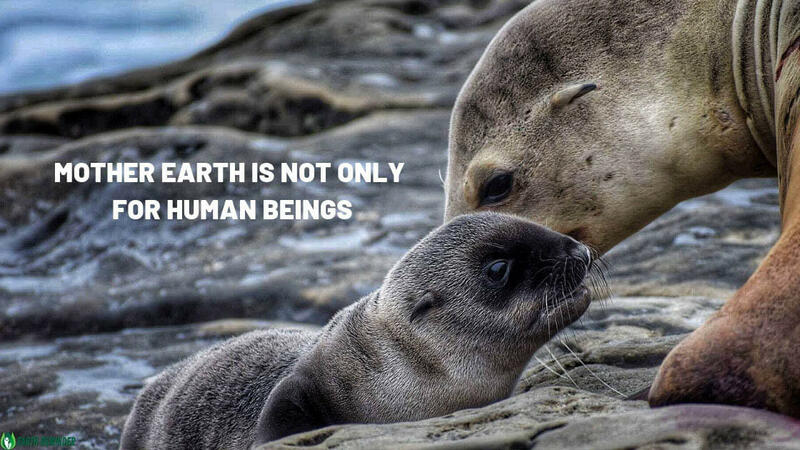 The low level of oxygen is directly affecting the health of the plants and animals of the sea such as sharks, penguins, whales, dolphin, turtles, seal etc. The river that eventually enters into the sea takes agricultural & industrial waste with it into the sea water. The agricultural & industrial debris such as pesticides, chemicals, radioactive dumped waste etc. sediments into the bottom level of the ocean and remains as usual for many years. This deposited waste affects from the bottom to the top surface of the ocean. The small animals of ocean swallow these chemicals and then these small animals are eaten by large animals. In this way, the entire food chain gets affected. Oil spills that cover the surface of seawater do not allow sunlight to reach oceanic plants. Hence it affects photosynthesis process. As a result, the cycle of coral reef gets disturbed. The waste from industries and agriculture are composed of harmful chemicals that affect marine life badly. These chemicals are so dangerous that it can damage the organs of water animals such as the reproductive system. The failure of the reproductive system affects the breeding process of the species of water animals. The toxins that is accumulating day by day in oceans showing dangerous results on water animals such as cancer, damage of tissues & cells, failure of organs, behavioral changes, failure of reproductive system etc. The harmful chemicals, pesticides, oil spills get into the body of these animals directly or indirectly & causes various health issues and sometimes lead to death. According to the studies, almost 80% marine pollution caused due to waste from lands. 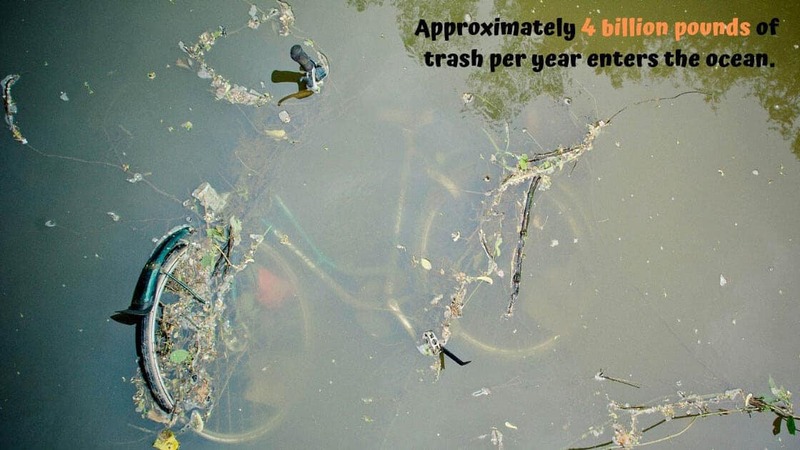 We can reduce this by limiting the waste material. Plastic bags, bottles etc. have become one of the big reasons for marine pollution. We need to stop using plastic made material to save marine life and our environment. We all need to put efforts to clean the sea beaches. If beaches will be cleaned, marine pollution can be reduced to some extent. The farmers should use organic farming techniques instead of using chemical pesticides and fertilizers. When these fertilizers and pesticides entered into ocean water causes various health issues to the plants & animals of the sea. We all need to make sure that only rainwater goes into the drainage because most of the drain water goes into oceans. If we allow sewage and waste material to get into the drainage, it will eventually affect the marine life. Most of the rivers flow into the oceans and also the wastes get entered in the sea water. Hence we also need to take care of the cleanliness of the rivers so that it cannot contaminate the marine life.